We all know about the Prada bags and sunglasses, but do you know their fragrance line? Engage NZ at key Farmers locations launching 4 new Prada fragrances. 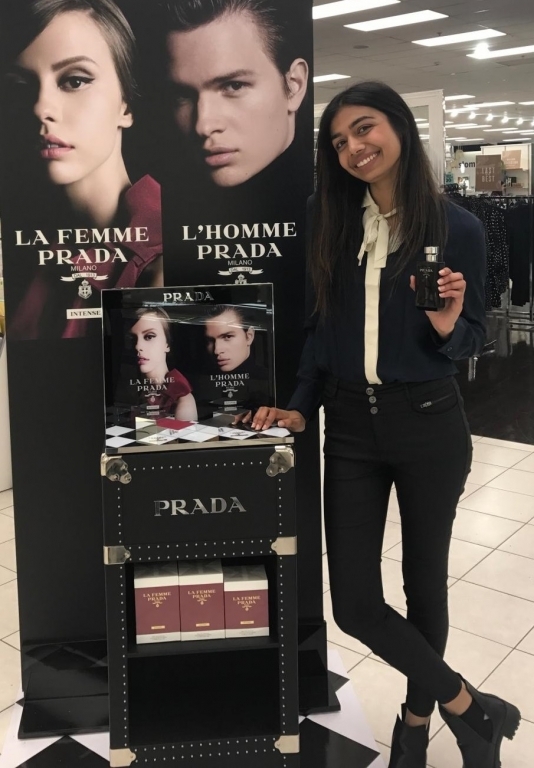 Launching Prada – Carbon & Gloss and Prada – L’Homme & La’Femme. 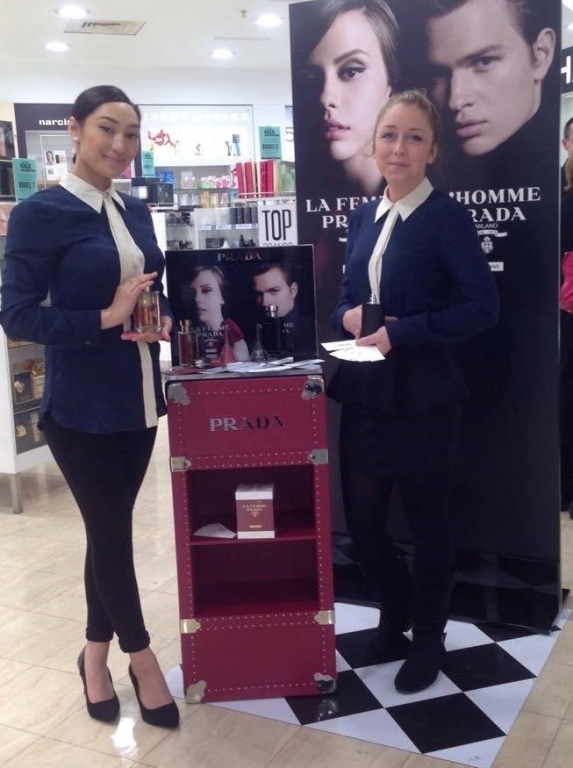 Staff were spread over Auckland, Wellington and Christchurch spritzing and charming as many customers as possible. We were on site for 3 hours during peak times, during those times staff spritzed 100s of customers per store. The reach for fragrance can be a challenge to track as customers return for purchase after wearing the fragrance. We can confirm there was a huge interest from customers and a good amount of returning to purchase.